Quite a few products have been inspired by things that go vrooom or to use the more common terminology – Automobiles. Even our cities with their roads and highways are built around them. Of these many inspirations three products that stands out due to their immaculate replication are the wrist watch, furniture and fans! Pairing watches with engineering marvels go a long way back – the very first wrist watch the Cartier Santos was created for a Millionaire Aviator friend of Cartier so that the Brazilian tycoon could keep track of time while flying (but that’s another story),it was followed by the Cartier Tank, which in turn was inspired by what else but Battle Tanks! 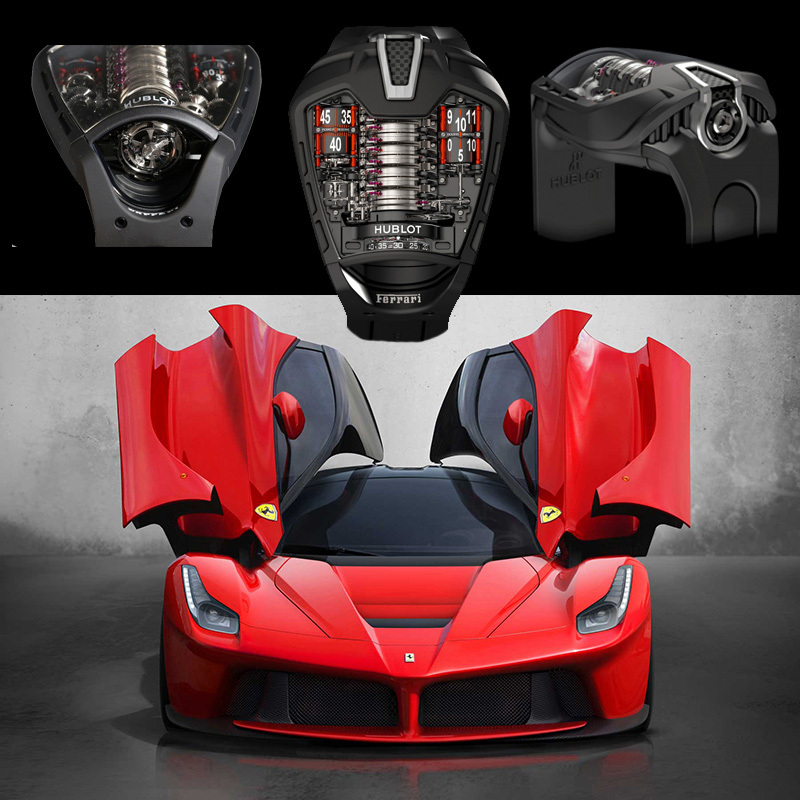 Besides being associated with the world of F1 racing and other automobile sports (Tag Heuer, Breitling, IWC, etc) watches have mostly taken inspiration from auto engines (Parmigiani and Bentley, Hublot and Ferrari) designs (Porsche Design, Tudor and Ferrari) and even the Race Track (Chopard)! Similarly cars have also inspired a range of furniture and interior decor collections. Brands like Lamborghini, Mercedes and Bentley have their own range of furniture inspired by both the interiors and exteriors of their respective cars. 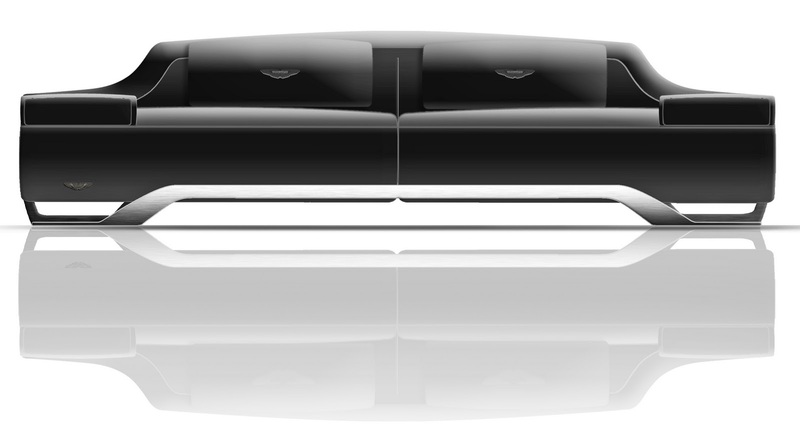 The furniture range that stands out among these auto brands is Aston Martin. One look at the featured tables, chairs and lounges and you will know why, as it replicates the Aston Martin’s front shark grill look flawlessly. 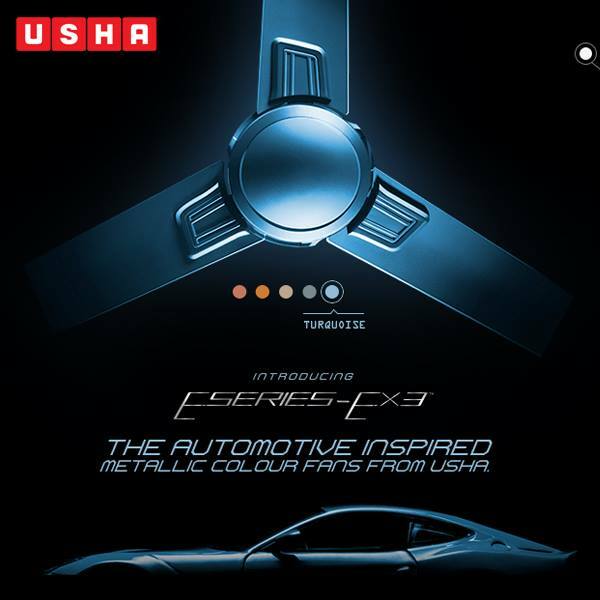 Another brand that has brought the car into the Living Room happens to be Usha, with their E-Series range of ceiling fans, inspired from the auto world. Both the concept of the E-Series along with its painting process are a technological revolution. 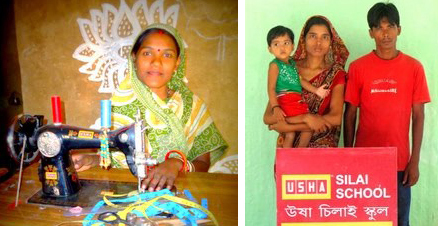 Unlike the high-end luxury watches and furniture which sport a huge price tag, with the E-Series Usha brings affordable luxury to every home. The automotive inspired finishes for all colours of EX1 and EX3 fans, with their silky smooth finish sparkled by pure aluminum glitters that make these fans eye catching, is nothing short of craftsmanship at its best. Why Amazing? Because we will be attempting something, which others have never thought about! 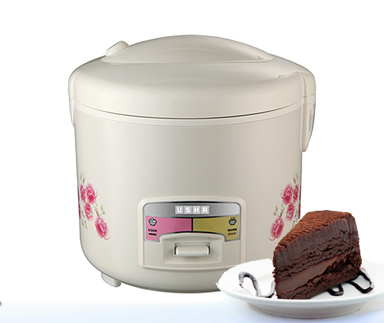 Most people find the Rice Cooker a boring old device, using it simply to cook its namesake dish -Rice. However, you will be surprised what the Rice Cooker can do if you get a little creative. Beginning from Chocolate Cakes and Banana Bread to exotic dishes like Cheesy Jalapeno Bread and Black Bean Chilly, your Rice Cooker can make all these and more. Begin by coating the rice cooker bowl with a layer of butter. Place the mix in the rice cooker bowl. Place the bowl in the rice cooker and push the cook button. Now wait, it could take anything between an hour to two, depending on your Cooker settings. Now, wasn’t that easy? It took a little longer than the usual Over baked cakes but nonetheless here you are surrounded by the freshly baked aroma of a lovely cake. Take a bite to savor the flavors, and you realize the wait was completely worth it! Next we will teach you to cook something yet more exotic with your Rice-Cooker. The Victorians were known for their travels, an endeavor to seek out the world which ultimately resulted with the sun never setting over the British Empire. However, there was another kind of travel recommend by doctors and physicians that involved visiting a sea side resort for a change of air. A prescription so religiously followed that soon the beaches of Bournemouth, Brighton and Blackpool turned into resorts catering to ill-health, perhaps the very first kind of Medical Tourism. However not the Victorians but the Romans need to be credited with the idea that physical and mental ailments can be blown away by a change in breeze and scenery. The reason why we don’t hear much about it in the Roman Chronicles is because people were a little reluctant to stay away from the Capital, where plots and power could change overnight. The British in their later endeavors to replicate the English Breeze (change of air) in colonies namely India, went about building hill stations across the Himalayas from Shimla to Darjeeling. These hill stations in all their majestic glory still cater to Indians for a change of air and mood. However today we have become a little like the Romans, given our work schedules we cannot afford to rush off to the hills every time we feel the need for a fresh breeze. Living congested in our metropolitan cities, entangled in our busy schedules and without any relief from the scorching sun, we have settled for air conditioners and air coolers. However, the former -air conditioners – only ends up making things cold and damp, if a change of air is what you are looking for than the air conditioner is an illusion. Whereas the latter – air coolers – besides being healthy can replicate the sought after ‘change of air’ pretty efficiently. 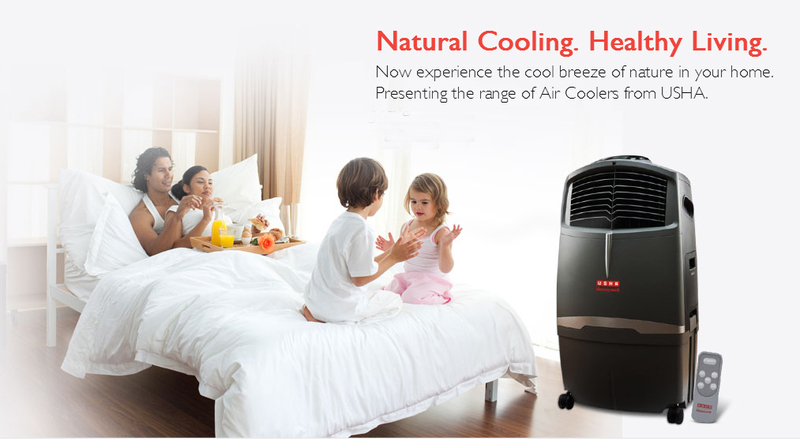 Technologically advanced coolers that use evaporative mechanism to cool air naturally lets out air similar to a breeze ﬂowing across a lake. The breeze lowers the temperature and has a relaxing cooling effect on people. These coolers will turn you into the ideal armchair traveler even while you go about your daily chores. Flutterguts, Kan Jam, Hot Box, Schtick, what do you think these names refer to? No they are not the names of Rock Bands but refer to various styles of playing Flying Discs. No longer a minority sport, the game today is popular worldwide, with more and more teams and nations joining the League of the Flying Disc. “It is no longer an alien game,” as said by a former Flying Discs player Komal Mehra. But ever wondered how did it all begin? The origin of the game dates back to 1870’s and like most things 70 it begins with the young and restless. The story goes that a Baker by the name of William Russell Frisbie used to sell delicious pies to students around the various colleges in Connecticut. Perhaps bored out of their mind or in search of new adventures students began to toss and catch the empty pie tins; shouting the Baker’s name ‘Frisbie’ to alert the catcher. And soon colleges around Connecticut and then America had all sorts of Unidentified Flying Objects zooming across the university grounds. Frisbie had come to stay. A few decades later in the year of the Lord 1948 a man called Walter Frederick Morrison articulated a grave concern “It (flying pie discs) worked fine as long as the sun was up, but then the thing got brittle, and if you didn’t catch it, it would break into a million pieces!” The thought eventually led him to manufacture the first plastic Flying Discs under the brand name Frisbee. He followed it with a modified version called the Pluto Platter in 1951, which became the prototype for all flying discs to come. As more and more people took to these Flying Discs, the number of styles and types of game increased. Finally, Ultimate Frisbee came into being in 1967, invented by a few high school students in Maplewood, New Jersey. It is the most recognized form of the sport and is a cross between football, soccer and basketball. 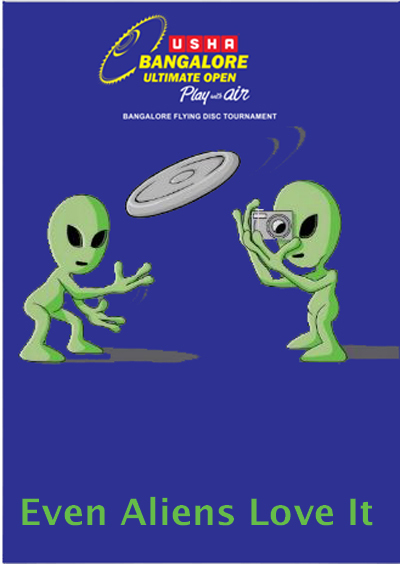 The Usha Bangalore Ultimate Open 2014 as its name denotes has taken up this Ultimate version to popularize the game in India. Another curious chapter in the history of the Flying Disc occurred in 1968, when the US Navy spent $400,000 to study the movements of these discs in wind tunnels. Following and recording their flights patterns with computers and cameras. We don’t know what they actually learnt from the exercise, but we are curious to find out. As of now 24 teams from across India are gathering in Bangalore this weekend 27th-29th June, to test their mettle in a bid to be the best in the nation. Usha Bangalore Ultimate Open will be one of the largest Ultimate Frisbee Championships in India and you can follow all the updates on our Facebook page. What is Civil Society? Ten years back, one would have been forgiven for referring to the Dictionary to answer that question. Back then most people (if not all) were clueless about its meaning. Today, even with so much citizen activism happening, it is still hard to arrive at an universal answer to that question. As the definition of Civil Society will vary across countries and societies. 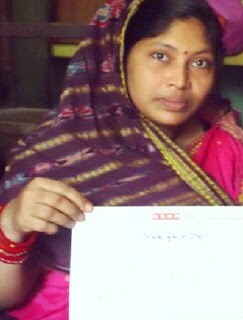 So much so that a Civil Society Activist from a Democracy is likely to be called an Anarchist in a Monarchy! One could say, Civil Society is that informal space beyond our immediate life and work where citizens come together to explore possibilities and arrive at solutions to problems that are being politically neglected. Its role is to celebrate ordinary people even if it means going against the ruling elite. To explore further, do watch the discussion on The Role of Civil Society between Umesh Anand, Dasho Kinley Dorji, Bernard Imhasly in conversation with Usha Chairman Siddharth Shriram, at the fifth edition of the Bhutan Literary Festival. 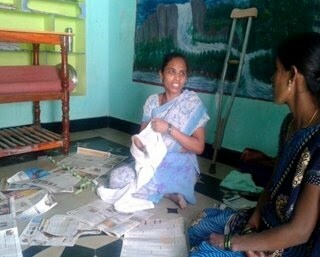 Closely linked to the concept of Civil Society is the idea of Democracy as the ‘will of the people’. But the question remains how true a reflection of such a collective will is a Democratic society? Democracy also being an expression of differences is all-inclusive or marred by flawed percentages and rules? And do we need to exorcise the word ‘Opposition’ since the job of the Opposition in the Parliament is not just to oppose, but to do so constructively. They may not have all the answers, but they do have valuable insights into the workings of a democratic society, how it functions and how ideally it should function, especially in context of the world’s largest democracy India and the newly democratic kingdom of Bhutan. Catch Lily Wangchuk, Pavan K. Varma, Dago Tshering in conversation with Mihir Sharma at Usha presents Mountain Echoes 2014. Waheeda Rehman is an Indian legend, there is no arguing that. But what is it that makes this Bollywood leading lady a living legend? Find out in her own words, as she speaks about her life, roles and movies at the Usha presents Mountain Echoes 2014. Where she talks about her growth as an actress from her very first film CID. As a new comer in Bollywood, it was her proficiency in the Indian dance form Bharatnatyam that gave her both the skills and confidence to jump right into the dynamic roles that she portrayed in movies like Pyassa and Guide. The former evident in her overwhelming and daring performances; the latter revealed through anecdotes and stories, which are now part of the Bollywood canon of lesser known legends. Like the time she confidently insisted that the Director edit-out one of her songs in the movie Pyassa (her second movie), as she thought not only was it (the song) boring but also it didn’t contribute to the plot! Ever, heard of a new actress, or for that matter old, tried, tested and famous actress, pleading for less screen-time for the sake of art? Afraid not. Her conversations with famous journalist Sathya Saran is filled with such gems and delightful anecdotes and insights. Watch the video to unveil the Superstar.